We can and do make a difference, but it takes a team to really work together. Click to learn more about Ubiquiti's edge technology. Ubiquiti technology platforms focus on an unparalleled user experience combined with Industry-leading performance. Ubiquiti Networks designs and manufactures the most advanced wireless technology platforms. Click to learn about AIS' leading performance. AIS Data Centers is the Southwest's market leader for business-ready IT infrastructure for companies that value security, complianceб connectivity, and support. 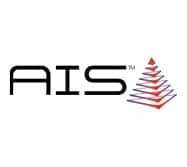 AIS operates hybrid IT environments with cloud, colocation, connectivity, managed security, managed storage, and more.